Looking for foods that can help with your hypothyroidism and Hashimoto’s? These five foods for hypothyroidism can have a profound impact on your thyroid health in so many ways when you make them part of your everyday diet. 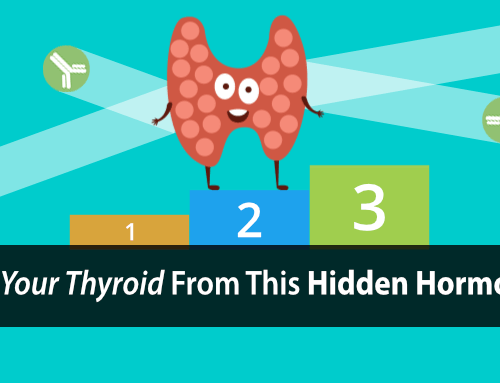 …but what I’m about to show you will change the way you look at thyroid diets forever. To understand how they work, you first have to understand a little bit about some of the underlying causes of your hypothyroidism. 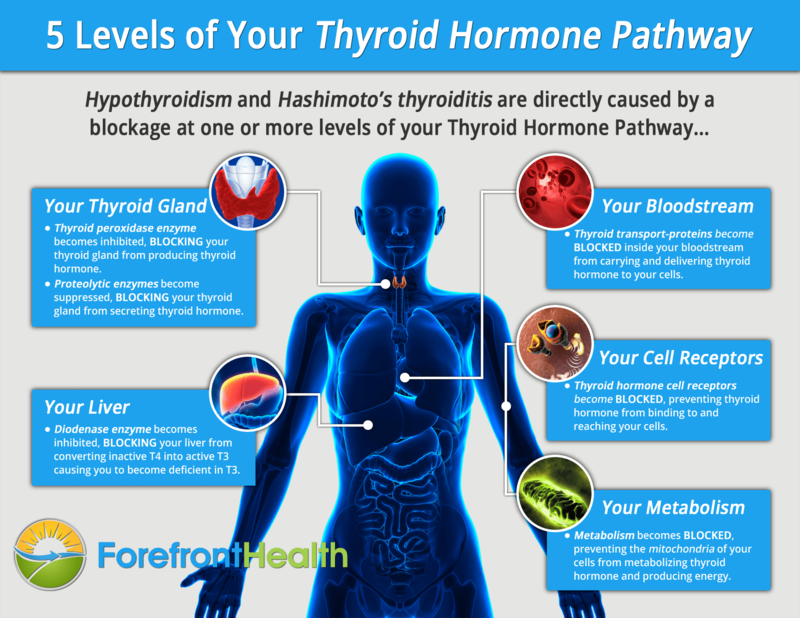 It all comes down to your Thyroid Hormone Pathway, which is blocked at one or more of the five different levels. Take a look at the infographic below but don’t get too caught up in the details. We’ll just be using it as point of reference. Blocked from being produced by your thyroid gland. Blocked from being released by your thyroid gland. Blocked from being transported to the parts of your body which need thyroid hormone. Blocked from being activated in your liver and other tissue. Blocked from binding to your cells. Blocked from being used by your cells. …you’ll remain hypothyroid until you unblock your Thyroid Hormone Pathway. And that’s exactly how these five foods can secretly save your thyroid health. They work very effectively to help unblock various parts of this ever so important pathway. Bamboo shoots help unblock your liver by lowering your dangerous gut bacteria and the endotoxin that these bacteria produce. It’s well known that hypothyroidism sufferers also suffer from bacterial overgrowth in the intestines. And these bacteria produce large amounts of a substance called endotoxin. Now think of your liver like a house-maid that does all the cooking, cleaning, and keeps everything in working order. If your house-maid becomes so over-burdened by the cleaning, there’s no time left for the cooking and everything falls apart. This is exactly what happens when you have large amounts of endotoxin. It over-burdens your liver and prevents your liver from producing and storing sugar in the form of glycogen. And without adequate glycogen, your liver becomes blocked and cannot convert thyroid hormone into the active form (T4 to T3) that your cells need to function. Bamboo shoots therapeutically work like a vacuum cleaner to clean up the bacterial overgrowth and endotoxin, so your liver can get back to converting your thyroid hormone. Bamboo shoots also help to unblock your thyroid gland by absorbing excess estrogen. Without adequate liver glycogen, your liver can’t detoxify excess estrogen. Instead, excess estrogen is dumped into your digestive tract, where it ends up getting re-absorbed again and again. It’s kind of like sweeping your floors and dumping all that dirt into a garbage bag with a hole at the bottom. The dirt just ends up being dumped right back onto the floor. 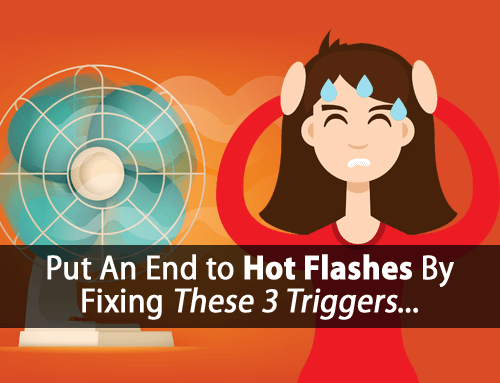 This creates a very thyroid-suppressive cycle where your body becomes unable to rid itself of excessive estrogen that continues to build up over time. When estrogen becomes excessive it directly blocks the enzymes necessary for your thyroid gland to release its stored thyroid hormone into your bloodstream. Bamboo shoots also work like a sponge to trap estrogen and prevent it from being re-absorbed. This not only rids your body of excess estrogen, it also helps your thyroid gland release more thyroid hormone. Using bamboo shoots is simple and easy. You can find canned bamboo shoots down the ethnic aisle of many grocery stores or at any Asian food market. They can even be purchased online. Out of the can they’ve already been boiled which makes them safe and effective to use. Simply boil for a few minutes to sterilize, blend them up in a blender, and use a tablespoon (15 ml) or two a few times per day. You can get all the details about this 60-Second Thyroid-Boosting Recipe right here. 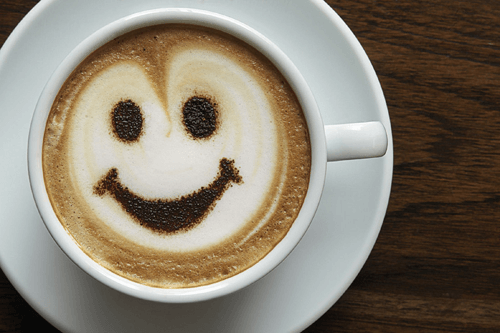 Coffee drinkers are also well known to live significantly longer than non-coffee drinkers. Coffee is kind of like a bullet-proof vest. It helps protect you and keeps you alive in a world where disease is running rampant. And when used properly, it can be very therapeutic for your thyroid health. If you can’t tolerate coffee, it’s because your liver is deficient of glycogen (remember that endotoxin as mentioned previously is one common cause of this). So, it’s important to understand that the coffee is not the problem. Fix the dysfunction within your body and you too can get all the therapeutic benefits it has to offer you and your thyroid. Coffee helps unblock your thyroid gland by increasing enzyme production. Hypothyroidism sufferers are known for having compromised digestion, low stomach acid production, and low enzyme production. And this can affect your thyroid hormone levels in many ways. …your thyroid gland produces thyroid hormone in a storage form that requires proteolytic enzymes to digest and break down before it can be released into your bloodstream as usable thyroid hormone. 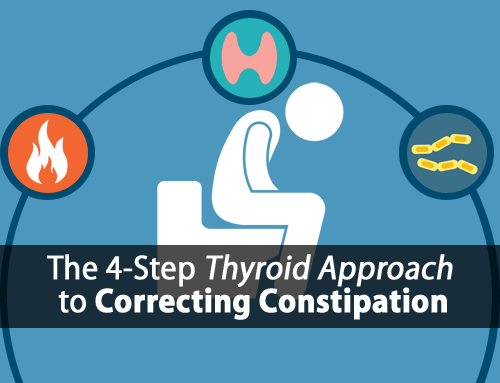 It’s also important to understand that this goes for desiccated thyroid medications too. Desiccated thyroid contains thyroid hormone in its storage form too. So, without adequate proteolytic enzymes your body can’t properly use desiccated thyroid medication. …all of which can help your thyroid gland to release thyroid hormone and improve your ability to make use of desiccated thyroid medication. Now, if you’re currently taking digestive enzymes in supplement form, be very careful as these tend to cause irritation to your digestive tract. And we never want to try to solve one problem only to create another. Oftentimes cutting out certain foods from your diet, like soy and nuts that contain protease enzyme inhibitors, can help significantly your digestion as well. Coffee helps to unblock your cells by promoting healthy oxidative metabolism. Hypothyroid people also develop dysfunctional hypothyroid metabolism. In other words, your cells have trouble using thyroid hormone efficiently, which means that your energy production becomes limited. Coffee effectively helps to stimulate oxidative metabolism where your cells use thyroid hormone and glucose/sugar efficiently, which is vital for proper thyroid health. It’s kind of like cleaning out the engine of your car. Afterwards your car has more power, gets better gas mileage, and everything runs better. If you’re just getting started with coffee or have had trouble with it in the past, then there are ways to improve your tolerance and make it safer. One way is by using coffee as we show you our 3 Food Triple-Thyroid-Boosting Daily Protocol. You can get all the details about coffee and the daily protocol right here. Shellfish help unblock your liver by providing adequate selenium. Selenium is an important co-factor necessary for the conversion of T4 into T3 in your liver. Without adequate selenium, your liver becomes blocked and T3 levels decline. Shellfish help unblock your cells by restoring cytochrome c oxidase activity. It’s also well known that hypothyroidism leads to poor absorption and retention of copper. And copper is an important co-factor that along with T3 activates your cytochrome c oxidase enzyme that is essential for a healthy metabolism and energy production. Without adequate copper your ability to use T3 and produce large amounts of energy is diminished. If you’re allergic to shellfish then a good quality selenium supplement can be warranted. However, it’s important that copper and zinc be properly balanced. Supplementing too much copper can cause an imbalance, so food sources are always best. Fruit helps unblock your liver by increasing your liver’s glycogen stores. As mentioned previously, your liver requires glycogen in order to convert T4 into T3. …it’s fruit that provides your liver with the best source of sugar to increase its glycogen stores. Think of fruit as fuel for your liver. Fruit is also very effective at lowering stress hormones, which also block your liver from converting T4 into T3. Adding more fruit into your diet will not only help protect against other diseases such as type-2 diabetes, it will also help to increase your T3 production. Coconut oil helps to unblock your thyroid carrier proteins by displacing the polyunsaturated fats that bind them. …you rely on your thyroid carrier proteins like a taxi service to come and pick up your thyroid hormone and deliver it to your liver and various other places of your body that need it. When you consume polyunsaturated fats, they effectively take over the taxis leaving your thyroid hormone with no transportation or way of getting to your cells. Using coconut oil on the other hand helps to displace those dangerous fats giving your thyroid hormone access to the carrier-proteins they need. Coconut oil also helps to unblock your thyroid hormone cell receptors by displacing the polyunsaturated fats that bind them and increasing your number of receptors. Once thyroid hormone is delivered to your cells, they still have to bind to your cells’ thyroid hormone receptors before your cells can use it. …these same polyunsaturated fats also take over your thyroid hormone cell receptors as well. And much like with your carrier proteins, coconut oil helps to free up your thyroid hormone cell receptors. Coconut oil is also rich in butyric acid which helps to increase your number of thyroid hormone receptors, thereby allowing your cells to bind to and use more thyroid hormone. The more thyroid hormone your cells can use, the more energy they can produce and the better your thyroid health becomes. 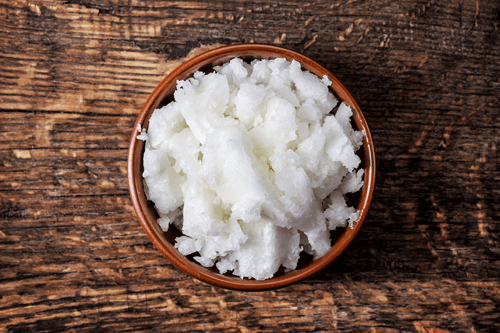 This is one simple way that coconut oil can give a good boost to your thyroid health. …think of the effect they could have when used together. And if your cells could use that thyroid hormone and use it more efficiently, then you could overcome your hypothyroidism and save your thyroid. That is how even a small number of foods, when used correctly, can make all the difference… including something as simple as carrot. Just download this super simple thyroid-boosting carrot recipe and we’ll show you how. Get all the details about this 60-Second Thyroid-Boosting Recipe right here. It’s a simple protocol used by each and every one of our clients. 1. Masters, Maria. “The Best and Worst Foods for Your Thyroid.” Health.com, 15 Feb. 2019, www.health.com/health/gallery/0,,20986201,00.html. 2. Theobald, Mikel. “7 Hypothyroidism-Friendly Foods to Add to Your Diet | Everyday Health.” EverydayHealth.com, 25 Feb. 2019, www.everydayhealth.com/hs/thyroid-pictures/foods-to-eat/. 3. James, Dana. “What You Should Eat To Improve Thyroid Health.” Mindbodygreen, Mindbodygreen, 9 Oct. 2017, www.mindbodygreen.com/0-10681/what-you-should-eat-to-improve-thyroid-health.html. 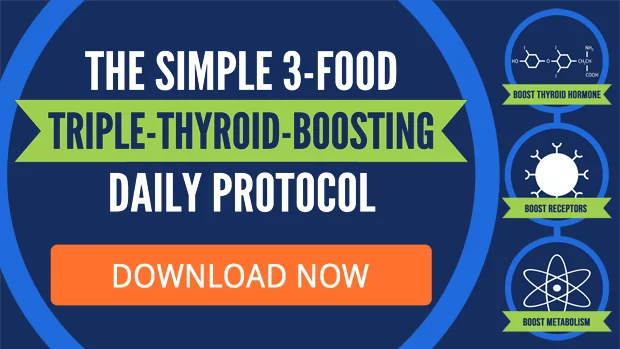 And in the 3 Food Triple-Thyroid-Boosting Daily Protocol, we’ll show you the exact detailed protocol and the three simple foods that can help you even further to unblock your Thyroid Hormone Pathway.It’s a simple protocol used by each and every one of our clients. 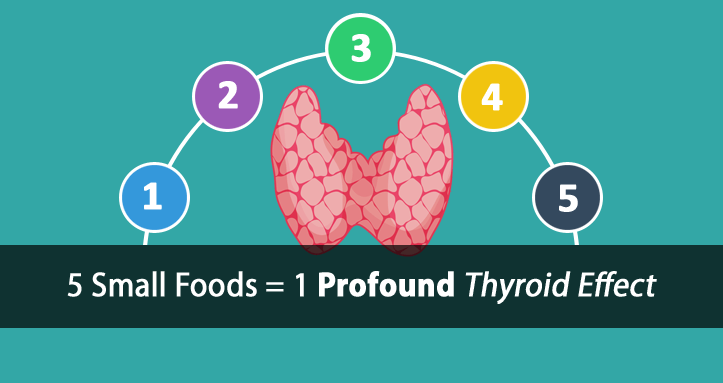 Get more information about the 3 Food Triple-Thyroid-Boosting Daily Protocol here. Great stuff. So, I do not like the smell or taste of coffee. Any recommended substitutes? Strong black tea, green tea, or anything else? Thank you. Hi Charles, from a therapeutic standpoint there is no direct replacement for coffee. Chocolate has some of the same therapeutic benefits but not to the same extent. Hi Guillermo, we generally use things like the bamboo shoots and carrot fiber to push the the bacteria/yeast further down the digestive tract where it belongs. That’s typically enough for 90% of people. Thank you so much for the great info. I use the Wilderness Family brand of coconut oil. It’s organic, expeller-pressed, and hexane-free. I cannot stomach virgin coconut oil. Am I still getting all the same benefits and butyric acid as I would from unrefined coconut oil? Thank you! Hi Annemarie, yes and we recommend expeller pressed because it has all of the coconut fiber/particulate removed. Virgin coconut oil still contains a little which can be very irritating to the digestive tract. Love information. I have hashimotos with half removed. Will this still help the other half. How long do you need to take the bamboo shoots every day? Hi Sandra, with a half thyroidectomy you will likely need to supplement thyroid hormone to the degree that you can’t produce it. However, everything still applies even with thyroid medication. Thanks, Tom, for the suggestions!!!! Hi Tom, thank you for helping to answer questions here. Please I would like to know if iodized salt is good for hypothyroidism. If not, please which would you recommend? Thank you. I recommend non-iodized salt. Canning and pickling salts are typically easy to find. Hi Maxine, as mentioned in the article the coffee is not the problem. That’s what happens when your liver glycogen is depleted. Without adequate liver glycogen you can’t regulate your blood sugar, convert T4 into T3, etc. and you will not be able to regulate thyroid function. If you don’t do well with coffee, I talk about this in many places. It’s because your liver is depleted of glycogen. This is common with hypothyroidism, especially those adhering to a thyroid suppressive low-carb diet. Instead of avoiding foods that can greatly help improve your thyroid function, it makes more sense to address the underlying problem. I understand about liver depletion of glycogen, and I’ve begun using your food recommendations, thank you for the great help! When you say “coffee”, are you referring only to caffeinated or decaf as well? Hi Shelley, the therapeutic benefits of coffee I discuss are with respect to caffeinated coffee. Decaf still provides benefits but nearly as much. Tom. Can I just put carrots, bamboo shoots, and coconut oil in a blender, and drink. I have a problem chewing fresh carrots. Hi Judy, you don’t want to use the carrots in the blender, only bamboo shoots. Hey Tom, thanks for all the great articles, just read the above comment you posted about not putting the carrots in the blender and was curious as to why not? Hi Andy, we specifically use the carrots for the fiber. Blending them up renders the fiber useless for the intended therapeutic purposes. You don’t mentioned exactly how much coconut oil to use a day? 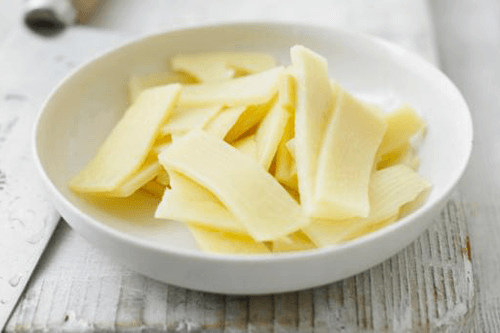 could bamboo shoots fibers be problematic for SIBO sufferers? Hi Ahma, bamboo shoots are one of safe options because of the natural anti-bacterial properties. Thanks very much. This is the eye opener I’ve waited years for. Reading your article I realised all my problems were what I had always thought, connected. First at 38 I got High BP, then at 45 I was diagnosed as Hypothyroid, I then developed some food allergies one of which was Coffee. At 56 I needed a heart Bypass. 6 months later I contracted Type 2 diabetes. They say at age 63 my average readings on Blood sugar are reasonable with no medication but I do take Metformin. Now I am getting trouble all of a sudden with Kidney stones any connection there do you think? I had just bought some Coconut oil anyway cos I heard it was beneficial and I’ll be sure to start eating more off the other foods too. Off topic but I also had arthritis in my hips and knuckles and started taking two tablespoonfuls cider apple vinegar in some Tomato juice daily after two weeks its made a marked improvement for anyone who has that trouble too. 🙂 Thanks again Tom You can be sure I’ll let you know how I get on. Hello tom I could not find fresh bamboo shoot in uk could you pls tell me if i try caned bamboo shoot will help Thanks. Hi Nellu, as mentioned in the article, we use canned bamboo shoots and I describe exactly how we use them in there as well. Have you heard of hypothyroidism being connected with interstitial cystitis? I have been diagnosed with both. I’ve been on your plan for 4wks now, my bladder is acting up a little. Hi Jennifer, yes it’s connected to low thyroid, excessive estrogen, and progesterone deficiency. It has to do with an abundance of mast cells in the bladder and an increased sensitivity to the mast cells. Thyroid, progesterone, and gelatin typically help. Is losing your voice a symptom of something wrong with my Thyroid. I will lose my voice and then comes right back a lot. Hi Debbie, if you’re hypothyroid then yes, it can be a common symptom. But there are also other non-thyroid related causes as well. What if I’m low estrogen and have adrenal insufficiency? Tom, I have done research on thyroid health for many, many months now and just discovered you a few weeks ago. Skeptical, because there is so much out there, but I just bought in. I was diagnosed “hypo-hypo” by my fertility doctor 10 years ago. I didn’t deal with it for years, went through fertility procedures to have my two boys, but suffered a couple of years of depression, crying all the time, tired but working out like crazy to try to shed the weight gain. I went vegan for 6-months and have never felt worse- duh, now that I know what I know. I DO NOT ever take medication, not Advil, Tylenol, nothing but probiotics, omegas, etc. I have been on Armour and Levothroxin for over a year, which makes me cringe but I haven’t known what else to do. I feel okay but my hair is falling out and my skin is super-dry. I am super fit and healthy, not overweight but a little heavier than I would like to be. I eat clean, avoid gluten, soy and most dairy. I’m on the smallest dose of both meds, which my doctor says I am super-sensitive to. My TSH is still off, but he likes the T3 and T4 numbers, so he has kept me stable. He tells me I am his most challenging patient he has had but he works really hard on my case, I know. I have many questions but I know you can’t be my virtual doctor. So, I guess my biggest question is this: As I get really clean with my diet, how will I know if I can try to eliminate my meds? I’m sure you just want to come see me in Dallas to figure this out? Or, I can come to you. Ha. Thanks for your help. I agree, completely. I know that I, myself, caused many of my issues because I limited my caloric intake which caused my reproductive system to shut down. However, after many years of more than sufficient nutrition, I still have no hormone production. I forgot to mention that I am on Minivelle, which also makes me cringe but helped pull me out of sadness, depression, brain fog. I have downloaded the thyroid testing protocol and will start it tomorrow morning. In the meantime, I am wondering if I need to limit my exercise. I worry because it is the only thing that I feel like gets my mind right. I cannot quite “get it together” without the endorphins. But, if the adrenaline is negatively impacting my thyroid, I can limit what I’m doing. Thank you for all of your work on this. Just reading through posts and comments, I can tell that you are helping many, many people!!!! Depends on the exercise. Hypothyroidism sufferers don’t store glycogen in the liver and muscles. So cardio type exercise depletes glycogen stores quickly and stimulates the stress response. Many people do feel better because it can create an adrenaline high. But the problem is that you’re still suppressing your thyroid. Thank you. I am a cardio junky, but also love yoga and strength training. I build muscle like a man, so I have to be careful. How much cardio to do you recommend per day/week? And, what are your thoughts on the Minivelle patch? I know you are not a reproductive doctor, but because hormones play such a large role in the thyroid, and frankly many other functions of the body, I have a couple of questions. How do you feel about the patch? Is there an alternative? Even on the patch, I am very irregular and never know what to expect when. I hate to rely on medication for health; I’d rather know that I have control over my health. Your advice is helpful more than you can imagine. Keep on doing what you do! Push people into taking control of their health! Hi Kelley, Cardio and hypothyroidism don’t really mix as cardio depletes liver glycogen very quickly and stimulates a strong stress response. Minivelle patch (estrogen) is very thyroid suppressive. 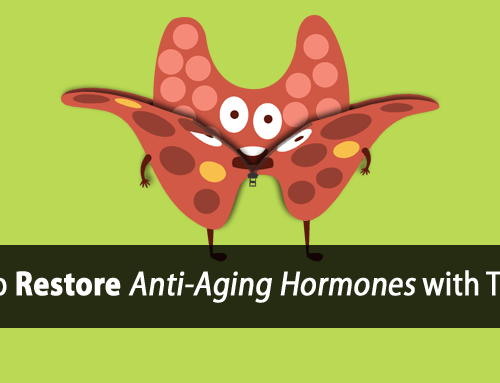 Estrogen is not typically what you would use to regulate your cycle. It’s more often a progesterone deficiency. Hi Tom, I have adrenal fatigue, atrial fibrillation as well as hasimotos thyroiditis. I was told not to use coffee because it is too excitatory. If I coud have just one cup I would be so happy. Do you think I could – for thesake of my thyroud- without risking the rest? A-fib, this can have a lot do with the electrical system of the heart. Vitamins D and K, calcium, and magnesium are all helpful in stabilizing the heart rhythm. Thyroid is also important as it help improve magnesium retention. Estrogen is oftentimes involved as well which would be the case given your Hashimoto’s. There are a lot of studies showing decreased protective steroidal hormone production in association with a-fib as well indicating that thyroid function and metabolism are directly involved. Curious about the carrot-fiber-blender issue. Can you please elaborate? Also, do cooked carrots have similar benefit if served with the coconut oil, salt and vinegar? I’m a survivor to 13 years of massive mold exposure. My thyroid was injured in all this. My right side is a huge 6 x 6 cm nodule. I’ve tried many things to repair it without success. My problem is severe gut issues. I can’t eat any food without supplementing myself to keep it in. And what is best to reapir the gut, I don’t tolerate it. The worse part is, the intake of dietary fat is now zero. No tolerance whatsoever. My pancreas is done. I take probiotics, enzymes, humates, herbal formulas ofr my liver, spleen and many other supplements in industrial quantity to eat just a few foods. Yet, without fats, a part of me feels better, but my skin has turned so dry, my thyroid is growing bigger, and my hair is almost all gone. I know it’s the cell membranes that suffer with all the carriers being disrupted by good dietary fats deficiency. But I’m doing all I can to get better. I was wondering if you ever saw a nodule that big (it’s not fibroid, and not a kyst, it’s thyroid tissue), decrease in volume with some therapy, keeping in mind that foods to get better are not an option right away right now? A surgery is planned, but even with such a big nodule, I’m not sure it’s the best option for my overall health. Hi Soso, with so much going on it would be best to discuss this further and come up with a viable plan through a consultation. Hi Tom, You have helped me more than I can say. I gave up coffee a few years ago but started back this year with the real milk and simple sugar with coconut oil. I also munch on the raw carrots it has greatly helped my digestive system. My stomach no longer hurts. I have not tried the bamboo shoots yet but plan too. I feel like I am getting my life back. Hi Sandy, that’s wonderful to hear. Keep up the good work! Hi Tom, I forgot to mention how the infrared dry sauna has also help my body aches and joint pain along with detoxing my liver. All your guidelines are helping me manage my hypothyroid issues. Just a quick question about coffee. It’s one of those tastes that I’ve never been able to stand, don’t know why but it’s always been that way and I’m not sure it’s likely to change after comin on 60 years. I was wondering if Yerba Matte has any of the same benefits or if it has ever been tested. If so was it tested how was it taken? made into a simple tea or drunk more traditionally, glass roughly half filled and warm water, about a litre, continually added? Hi Bruce, it would have some of the same benefits but not all. So it can be used. I was treated with radio-active iodine many years ago. Are your recommendations valid for someone who is on thyroid meds and has no natural thyroid function at all? I take Nature-Throid + a small dose of Synthroid to boost the T4 level based on the thyroid test results which are now in the normal range. I find your information very illuminating but I eat very little sugar other than in some fruits and avoid any fruit juices so am hesitant include the orange juice protocol. Many nutritionists and alternative doctors have advised no fruit juices – or fruit even in green drinks so I am confused. You recommend shellfish, so krill oil is OK? Also – unrefined sunflower oil has more Mono than PUFA, can I use it occasionally? In tomato-cucumber-onion salad it smells and tastes heavenly! Hi Nad, the two are very different and we’re not looking for more mono than PUFA, we’re looking for the best saturated to unsaturated ratio. Hi Tom. Any other juice you can recommend? I’m allergic to citrus. Hi Tasha, cherry juice is the next best option. 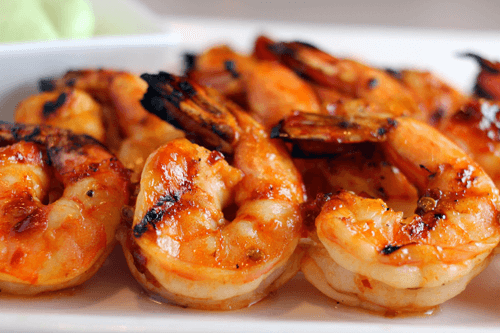 How often can we eat shrimp? Every day? I think a good protocol would be wake up 2 eggs fried in coconut oil or grass fed butter with 16 oz salted oj….then coffee with milk…lunch could be coconut oil fried shrimp with more salted oj…snack on salted fruit throughout the day and make sure you get enough protein by supplementing with gelatin as well..maybe add bamboo shoots few times a day as well….what do you think Tom? Shellfish are great and can be used everyday as long as diet is properly balanced on all levels. what kind of physical activity/sport do you recommend? I am hypotiroid for some 7 years now, being on Levotyroksine 75 mg ( 50 mg twice a week). I was actually feeling quite well until some 3 years ago, when I started gainjng weight ( I am about 10 kg over my optimal weight) and also my cholesterol is going sky high. My biggest problem is that I simply can not resist sugar products (cakes, candies, chocolates) which i eat a lot, otherwise, I eat quite healthy food, lot of salads, fruits, vegies, lean mean, fish etc. I am not very keen on sports (never been) and last 2 years, being retired ( I am 61 ), do not even walk too much. My job was sedentiary and now I am sitting a lot of time in front of TV. Altjough I am aware that it is not good for me, it seems that my will to do something to change it and my energy level are very low. Please give me some advice what to do. Thanks in advance. Unfortunately, what most people believe to be “healthy diet” is actually quite suppressive to their thyroid. Thank you for all the articles, I am steadily reading my way through the everything, and can see that is is imperative to get the Thyroid Revolution Program. One cannot get things right jumping fro one area to another. This I will do in a few weeks. I am using the protocol for sleeping and it is working. Have also started the daily 3 food protocol. 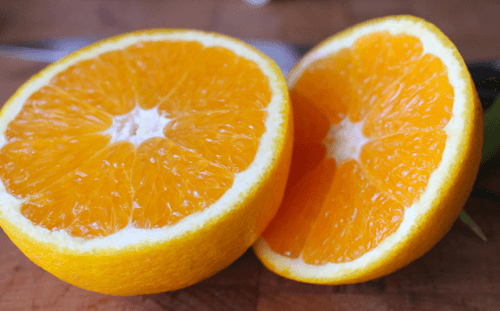 The amazing thing is I am tolerating orange juice (love the salt in it, I have always needed lots of salt – use Hymalayan rock salt) which I have not been able to do since my teen years. My energy swings now make complete sense. Am also addressing the estrogen issue, which as you told me is a major part of the problem, and what I was pretty sure was causing my inability to keep my weight at an acceptable level. Instead of coffee, what about tea? And, what to do if you are allergic to shellfish and nuts, especially coconut? I can’t afford much fruit, but hopefully soon. You talk about high estrogen levels in some of your articles, but what if your estrogen levels are low? Could this be related to Hashimotos? Hi Tom, I really am intrigued by your protocol and want to purchase your program but I have read that you say coffee is one of the most important ways to help heal the thyroid, and that is the problem I am reluctant. I am extremely sensitive to any caffeine as it affects my heart adversely. Too much will cause me tackycardia and even a little (the amount in a few M & M’s will slow my heart rate down from 80 to 50’s and cause it to beat irradically ( skipping) for 2 days. Is there something else I could use to help with the diodenase enzyme. I cannot even take homeopathic coffee med as it does the same thing to my heart, slowing heartrate and beating very irradically. Is there a way to heal my thyroid with all the other items you mention except coffee? I have had thyroid problems for the last 20 years. Hi Kathy, I would go as far to say that coffee is one of the most important ways to help the thyroid. It has many benefits and acts as thyroid hormone (T3) in many ways. So, it can surely be a useful tool. But what we teach is far more involved than that. The problem you’re experiencing is common but misunderstood. First, most people don’t take their coffee correctly. Drinking it black for example can cause that. The problem is that hypothyroid sufferers don’t store and release glycogen (stored sugar in the liver) efficiently at all. Coffee pushes glucose to your cells, but when your liver can’t release glycogen in response to the blood sugar drop, it causes a stress response. To fix this, we first use a specific coffee recipe to prevent the drop and blood sugar while we also restore proper liver function. Do that, and you won’t have a problem with coffee and instead can use it for the many benefits it has to offer. I have had clients who couldn’t tolerate coffee initially, so we focus on correcting the issues first.